If you are looking to find the best smartphones deals and coupons then you are at right place. On this page, you can get the latest deals and coupons on smartphones from your favorite stores including Verizon Wireless, Amazon and more. So, hurry up and shop for cell phones from top brands including Samsung Galaxy, Apple iPhone, LG, and Moto using below smartphones deals & coupons. Use this Promotion and get $100 off Galaxy S8+ plus free shipping from Verizon Wireless. New activation req’d. Use code in cart to receive discount. Excludes upgrades. Use this Coupon and save $100 off select smartphones including Samsung Galaxy S8, iPhone 7 and more plus free shipping from Verizon Wireless. Device payment purchase req’d. Excludes upgrades. Use this Coupon and save 50% off or more iPhone 6, 6S, 6 Plus & 6S Plus plus get free shipping on all eligible orders from Amazon. Use this Promotion and save $100 on iPhone 7 or 7 Plus with promo code from Verizon Wireless plus free shipping. Excludes upgrades. Use this Promotion and save $100 on Galaxy S8. New activation req’d plus free shipping from Verizon Wireless. Excludes upgrades. Use this Coupon and save up to 75% off unlocked cell phones plus get free shipping from Newegg. No promo code needed. Use this Coupon and save 25% off or more Samsung Galaxy S7 plus get free shipping on all eligible orders from Amazon. Use this Coupon and save 70% off or more unlocked cell phones from top brands including; Apple, Samsung, Microsoft Nokia Lumia, HTC, Motorola, Huawei, and more plus get free shipping on all eligible orders from Amazon. Use this Coupon and get up to 60% off refurbished cell phones from Newegg. 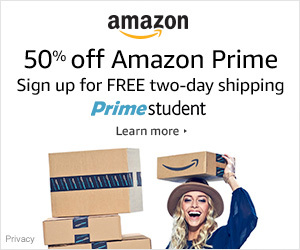 Use this Coupon and save 50% off or more no-contract cell phones plus get free shipping on all eligible orders from Amazon. Use this Coupon and get free shipping plus the biggest discount from GearBest. Happy Savings and a Happy and Smart Life!